The fish sauce vinaigrette mixes up in seconds. Just stir until the sugar is completely dissolved. You can temper the strength of the vinaigrette by diluting with more water. 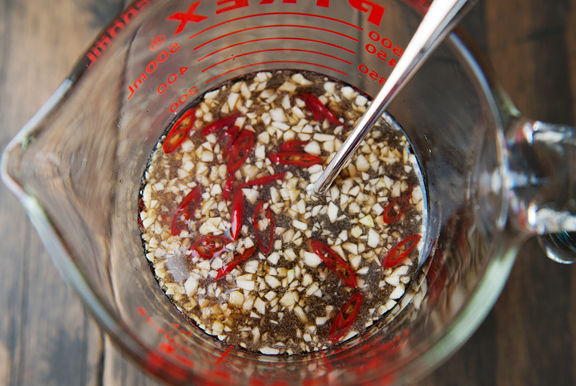 If you prefer a spicy fish sauce vinaigrette, leave the seeds in when you slice the chili or add another chili. Otherwise lose the seeds. Once the sauce is made, it can be stored in the refrigerator for up to a week. 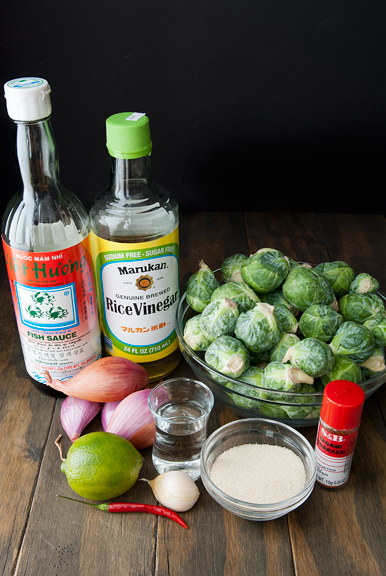 The original recipe makes a cup of the vinaigrette, but I halved the recipe below because it’s way more than you need for the 2 pounds of Brussels sprouts. Deep frying still scares the bejeezus out of me, but after so many years of yelps and screams when hot oil pops and splatters at my face and arms, I’ve discovered some really helpful tools. The first is the splatter screen. It blocks 99% of the splatters coming out of the pot AND it reduces the oil splatter I have to clean up afterward. The second is the spider strainer (pictured below) which I bought in an Asian grocery store for $4. 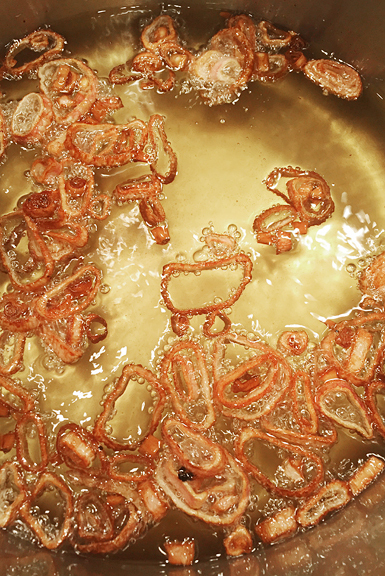 It does a fine job of scooping fried things from hot oil as well as lowering non-battered items into the oil. Game changer. 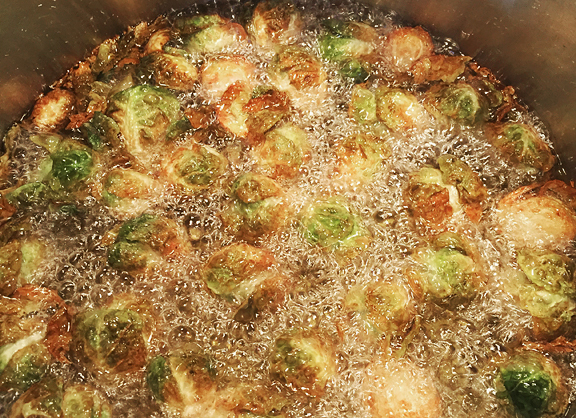 Fry the Brussels sprouts in batches because if you attempt to cook it all at once, the oil temperature will drop too low to fry much of anything. Heat capacity, folks. When the sprouts hit the oil, it will sound like an eruption on your stove. The commotion will die down after a few minutes, and when the sprouts are more brown than green, you can scoop them out to drain on paper towels. I wait to add the next batch until the oil has reached the original start temperature. When the sprouts and shallots are done, place them in a large bowl and toss with a little dressing. I’ve done half of the batch here because I knew we couldn’t finish four servings. If you know you won’t be serving it all right away, don’t dress the sprouts that you aren’t serving. It just makes them soggy and sad. 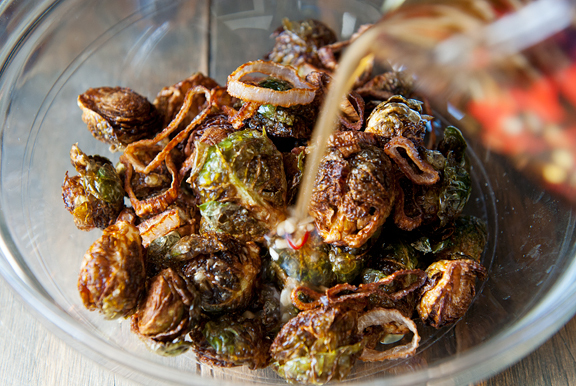 Instead, store the fried sprouts in the refrigerator, then reheat them in the oven for 5-8 minutes until they have re-crisped, at which point you can toss them with the dressing. Don’t use all of the dressing at once. It will be too much. Add a few spoonfuls, toss, taste, then adjust dressing accordingly. 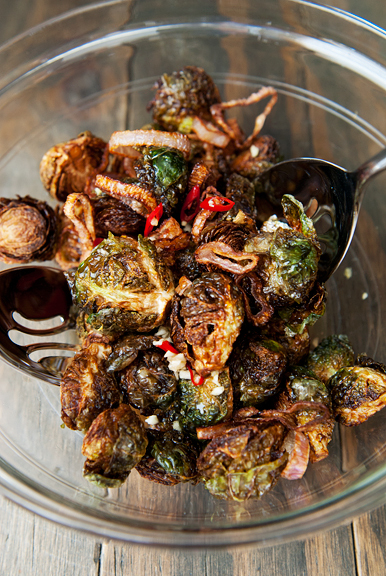 Now that I’ve fried Brussels sprouts, I know for a fact that all of those amazing Brussels sprouts dishes were FRIED. Of course they were! That’s not to say you can’t roast them. You can absolutely roast the sprouts instead of frying. I included instructions for the roasted version, too. It won’t be the same as fried, but you already knew that, right? 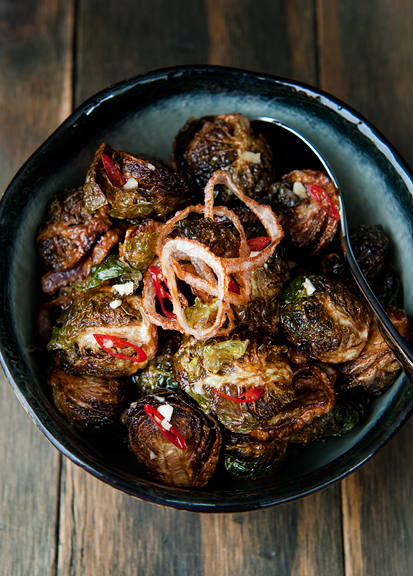 Fried Brussels sprouts have that sweet, nutty flavor and a crisp, light, crunchy texture. The fish sauce vinaigrette adds a punch of umami, tartness, sweetness, and heat. I completely forgot to add the togarashi here (I was too excited to dig into the Brussels sprouts), but I could go either way with or without it. It’s good, but it isn’t necessary. Since I try not to fry too many things, this is a dish I’d reserve for entertaining or special occasions when you want that extra something in your Brussels sprouts. They are dangerously addictive. You have been warned. 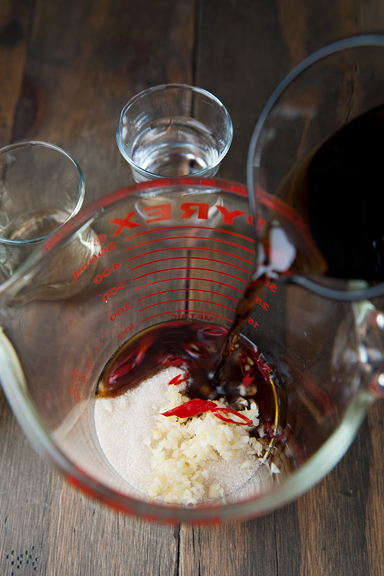 Make the fish sauce vinaigrette: Mix all of the ingredients in a jar. Makes 1/2 cup. Stores for up to a week in the refrigerator. Prepare the Brussels sprouts: Heat 1 1/2 inches of oil in a large pot (I use a stock pot to contain the splatter) to 375°F. 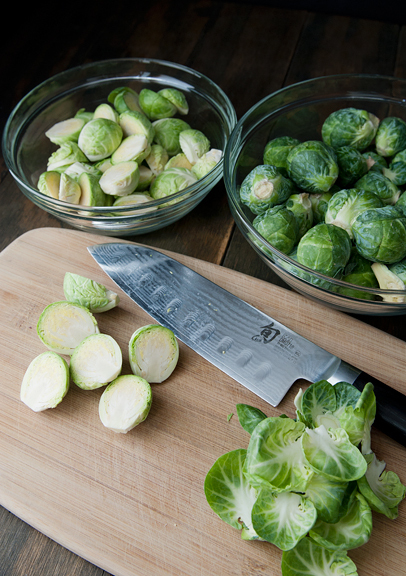 Trim the base of each Brussels sprout and peel away any unwanted outer leaves. Slice each sprout in half through the base. Working in batches (I fried mine in 3 batches), fry the Brussels sprouts in the oil for about 5 minutes until the outer leaves are browned and crisp. I lower mine into the hot oil with an Asian spider skimmer and use a splatter screen to cover the pan while the sprouts sizzle and pop and expand. I fish them out of the oil with the spider skimmer and let them drain on paper towels. 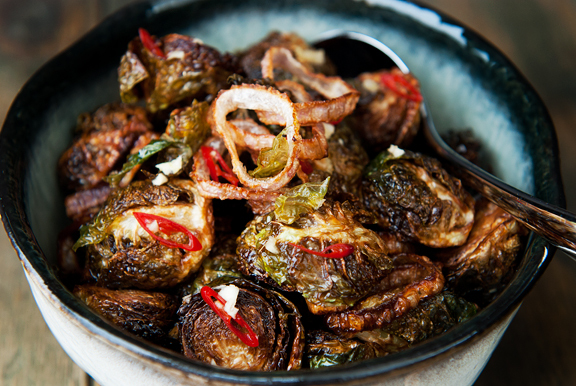 Repeat until all of the Brussels sprouts are fried. 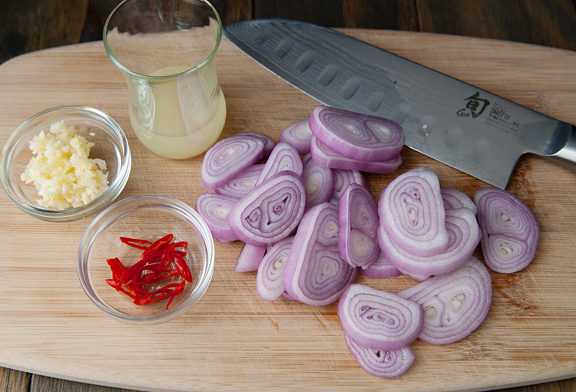 Fry the shallots: Drop the shallots into the hot oil and let them fry to desired doneness. I like mine browned with a hint of the purple color. Remove from oil to paper towels to drain. 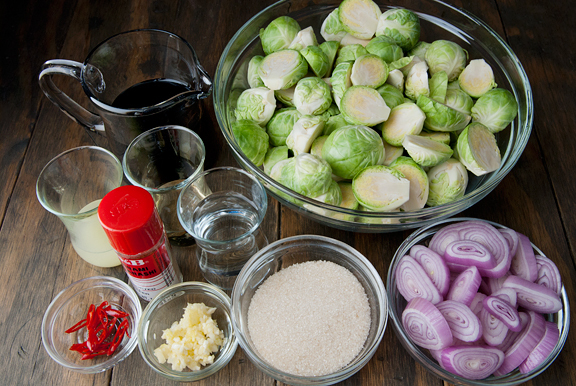 Assemble the dish: Place the Brussels sprouts and shallots in a large bowl. Drizzle a few spoonfuls of the fish sauce vinaigrette over the sprouts and toss to coat. Taste. Add more dressing as desired. Season with togarashi. Serves 4-8. 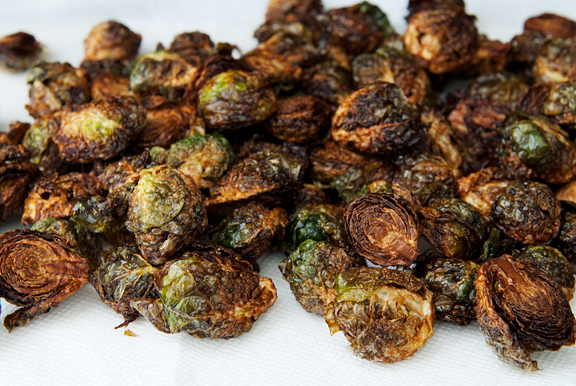 *You could roast the Brussels sprouts instead of frying, but it’s not the same. David Chang says to preheat the oven to 400°F. Heat 2 tablespoons of grapeseed oil in a 12-inch to 14-inch wide oven-proof skillet (or a 3-quart sauté pan) over medium heat on your stove. 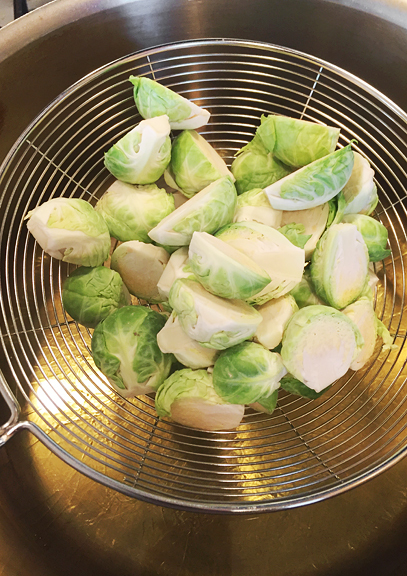 When the oil is hot, place the sprouts cut-side down and let cook until they start to brown. At this point, move the pan to the oven. Roast for 15 minutes or until the sprouts are tender (but not soft). Toss with vinaigrette and season with togarashi. I actually love Brussels sprouts, ever since I had them not made by my mom, who overcooked everything. Like you, I’m very wary of hot oil and may have to get me one of those spider strainers (could they give it a name that doesn’t send a shiver down my spine….spiders! eek!). My husband is Belgian (and loves Brussels sprouts…and Belgian endive) and is genetically disposed to making some amazing fries. I have never deep-fried anything in my life, so I cede that territory to him. One day, we were eating dinner (steak tartare with fries) and the cooling fryer was grumbling nearby in the open kitchen. 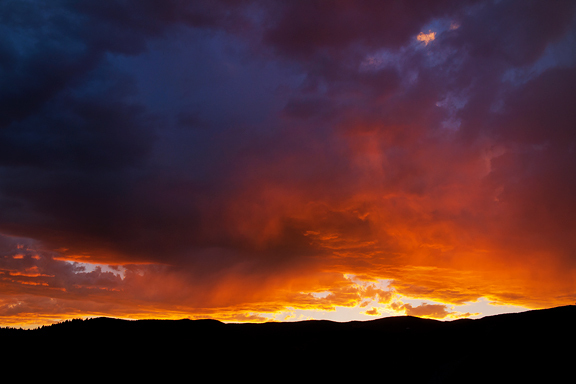 And then it exploded. Grease went all over the stove hood, the stove, the floor, the ceiling, the walls, the sofa on the other side of the counter in our open-plan space. Total mess. It only reinforced my worse fryer fears. The pictures of your dogs just melt my heart! Well so do your food pix, but those pups! YAY! When will it cool down???? I live in NJ and I just got back into knitting and I’ve got 15 sweaters and counting I want to wear! Happy ALMOST Fall! The cake looks awesome. Could you post the recipe for it please? Jane M - Thank you! And yes, I am so ready for the fall (it is much cooler today, so fingers crossed it stays like this!). 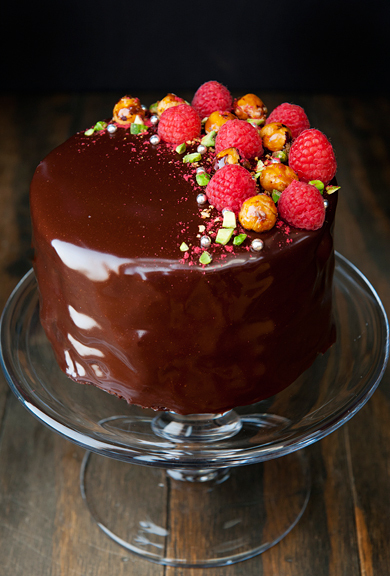 Yan - The recipe is a compilation of most components on the blog except for the chocolate mirror glaze. You can find the components on the chocolate mousse bombes recipe (http://userealbutter.com/2009/02/09/chocolate-mousse-bombes-recipe/), but I might shoot and post the recipe before the holidays. It won’t be anytime in the next few weeks though. Oh yes, these look yummy! I always order as an appetizer if I see these on a menu. Get this…even SmashBurger fast food restaurants offer these on their menu! Camping on the deck is so cute. I bet there wasn’t much sleep! 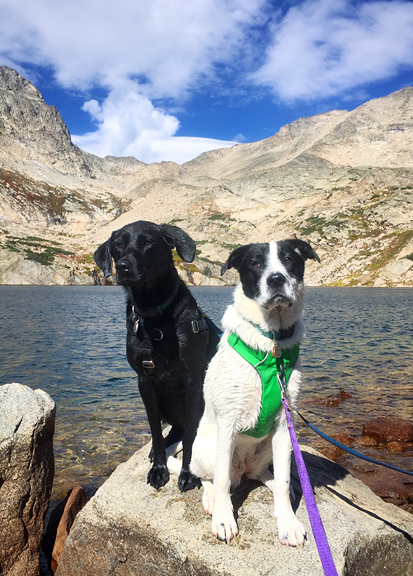 Your pack is full of love. 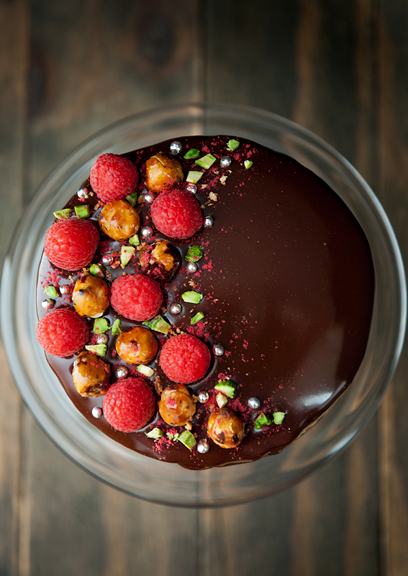 WOW, is all I can say about that cake. Just WOW. thank you for this very comprehensive brussels sprouts-fish sauce vinaigrette walk through, I need it! 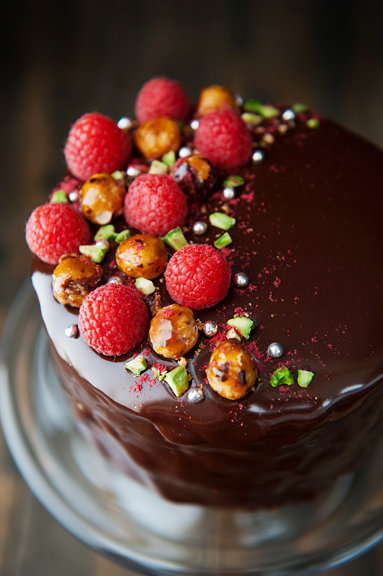 But also need that mirror glazed chocolate cake, what a beauty! I am going to try this since I’ve never cared much for Brussel sprouts but these look fantastic…along with the gorgeous cake too! jill – I didn’t know that! (I’ve actually never been to SmashBurger, but maybe I should!). 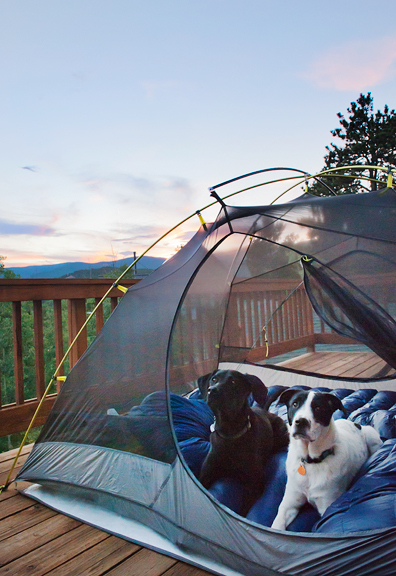 Camping on the deck is our test particle to see if we can manage backpacking with the dogs without losing our marbles! Sabrina – :) Thank you! Debbie – Oh, I hope you like the Brussels sprouts! Maybe try a small batch first? Oh wow! Fish sauce and fried shallots just might convert my daughter! Can’t wait to get home and try this!